Enjoy Buddy’s SUPER SPRING SAVINGS*. Book a Drive & Dive package and get a 50% discount on your total food bill (max. $75 per person, per week), and an additional FREE “Wild Side” 2-tank boat dive with East Coast Divers. Valid for travel between: April 10th – June 5th 2010. *For new bookings only. The food discount can not be used at the Lions Den restaurant. The “Wild Side” 2-tank dive is only valid when booking the 6 boat dives package. Specials can not be combined with other specials & certain restrictions may apply. Stay at Belmar Oceanfront Apartments and BRING A BUDDY FOR FREE*! Book a Drive, Dive & Stay package and every second diver dives for FREE! Valid for travel between: April 10th – May 29th 2010. *For new bookings only. Specials can not be combined with other specials & certain restrictions may apply. BBQ will be at Buddy Dive Resort’s Poolbar on Friday night. BOOK 7 AND PAY ONLY 6* room nights at Caribbean Club Bonaire. Book a Dive & Explore package and get one night for FREE! Valid for travel between: April 10th – May 29th 2010. The Dive & Explore package includes a fully equipped apartment for 8 days (7 nights), a RENTAL VEHICLE (double cabin pick-up truck) for 7 days, 6 days of unlimited air fills, FREE NITROX, daily breakfast, free “Manager’s Rum Punch Party”, airport transfer and all government taxes. *For new bookings only. Specials can not be combined with other specials & certain restrictions may apply. Enjoy the DEMA SPECIAL at Buddy Dive Resort, the home of the Drive & Dive package. Book this package for 8 people and pay only for 7! On top of this your group will receive a 50% discount on your total food bill (max. $75 per person, per week). To celebrate our 30 year anniversary, we offer your group our newly launched 3-tank “Washington Slagbaai National Park” boat dive for FREE if you book and pay the deposit before or during DEMA 2009. Valid for travel between: April 10th – December 18th 2010. Bookings window: August 5th – December 31st 2009. Enjoy Buddy’s SUPER SPRING SAVINGS. Book a Drive & Dive package and get a 50% discount on your total food bill(max. $75 per person, per week), and an additional FREE “Wild Side” 2-tank boat dive with East Coast Divers. Valid for travel between: April 10th – June 5th 2010. Get 30% discount on diving, 30% discount on your total food bill, and 30% discount on all our rental equipment, when booking the Drive & Dive package during our 30 Years Anniversary celebration weeks (August 14th – August 28th 2010)! Stay at Buddy Dive Resort and meet NED AND ANNA DELOACH (world-renowned naturalists and marine life authors). To celebrate their stay with us every second diver dives for FREE when booking the Drive & Dive package. Valid for travel between: September 4th – October 2nd 2010. To celebrate the annual BUDDY DIVE u/w PHOTOGRAPHY EVENT (hosted by John Wall, u/w photography expert for nearly 40 years), every second diver dives for FREE when booking the Drive & Dive package. 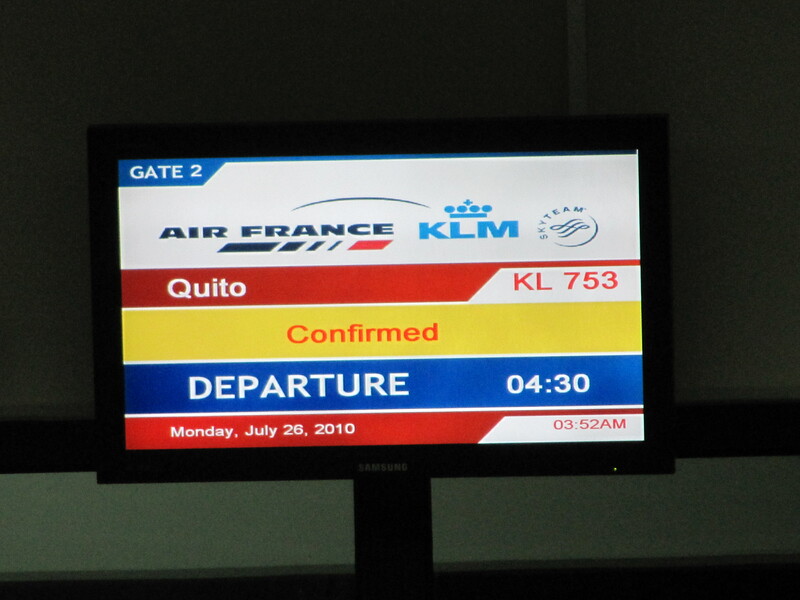 Valid for travel between: November 27th – December 18th 2010. *For new bookings only. The food discount cannot be used at the Lions Den restaurant. 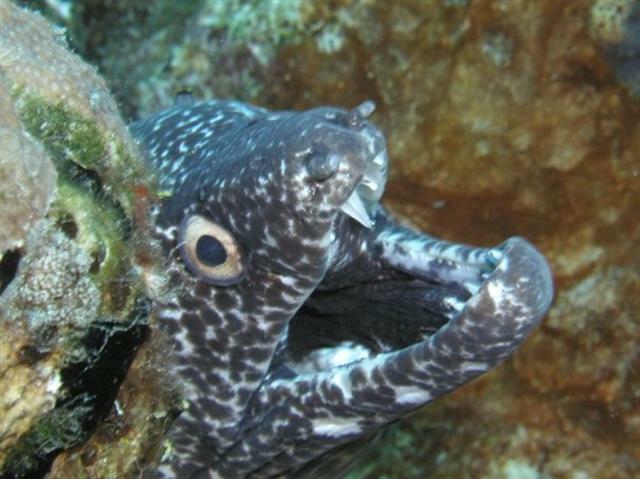 The “Wild Side” 2-tank dive is only valid when booking the 6 boat dives package. Specials cannot be combined with other specials & certain restrictions may apply. Enjoy the DEMA SPECIAL at Belmar Oceanfront Apartments. Book a Drive, Dive & Stay package for 8 people and pay only for 7! On top of this your group will receive a FREE BBQ for every person. Book and pay the deposit before or during DEMA and your group will also receive anadditional FREE “Wild Side” boat dive with East Coast Divers! Valid for travel between: April 10th – December 18th 2010. Bookings window: August 5th – December 31st 2009. Stay at Belmar Oceanfront Apartments and BRING A BUDDY FOR FREE! Book a Drive, Dive & Stay package and every second diver dives for free. Valid for travel between: April 10th – May 29th 2010. BOOK 7 AND PAY ONLY 6 roomnights at Belmar. Book a Drive, Dive & Stay package and get one night for FREE! Valid for travel between: August 21st – September 25th 2010. Enjoy our DECEMBER DIVE DEALS at Belmar!Book a Drive, Dive & Stay package and every second diver dives for FREE! Valid for travel between: November 27th – December 18th 2010. The Drive, Dive & Stay package includes a fully equipped apartment for 8 days (7 nights), a RENTAL VEHICLE (double cabin pick-up truck or van) for 7 days, 6 BOAT DIVES, 6 days of unlimited air fills, FREE NITROX, free “Manager’s Rum Punch Party”, airport transfer and all government taxes. *For new bookings only. Specials cannot be combined with other specials & certain restrictions may apply. BBQ will be at Buddy Dive Resort’s Poolbar on Friday night. Stay at Caribbean Club Bonaire during high season and get 10% discount on accommodation, diving, activities, rental vehicle, breakfast, and airport transfer! Valid for travel between: December 17th – April 9th 2010. Enjoy the DEMA SPECIAL at Caribbean Club Bonaire. Book a Dive & Explore package for 8 people and pay only for 7! On top of this your group will receive a 50% discount on your total food bill (max. $75 pp per week). Book and pay the deposit before or during DEMA and on top of this every second diver dives for FREE! Valid for travel between: April 10th – December 18th 2010. Bookings window: August 5th – December 31st 2009. BOOK 7 AND PAY ONLY 6 roomnights at Caribbean Club Bonaire. Book a Dive & Explore package and get one night for FREE! Valid for travel between: April 10th – May 29th 2010. Enjoy Caribbean Club’s SUPER SUMMER SAVINGS. Book a Studio and get a FREE upgrade to a Cottage Standard 1-Bedroom! Valid for travel between: July 3rd – August 28th 2010. Bring a FREE DIVER to Caribbean Club Bonaire! Book a Dive & Explore package and every second diver dives for FREE! Valid for travel between: October 16th – November 13th 2010. Book one of our complete and affordable packages and get 10% discount on accommodation, diving, and all other activities! Valid for travel between: November 27th – December 18th 2010. 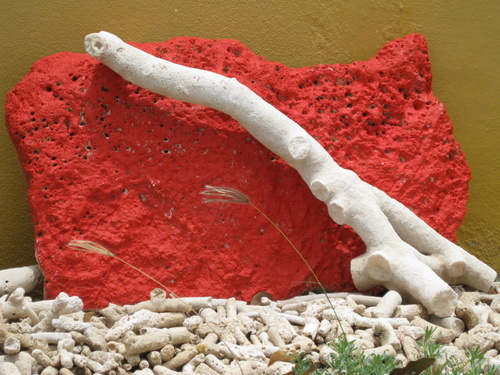 Contact ann@bonairecaribbean.com today and ask for the Scubaboard Specials. Dining credits apply. Ask for details. 800-219-0118 or 011 599 786 3134. *For new bookings only. Specials cannot be combined with other specials & certain restrictions may apply. We are very pleased to announce our Summer Marine Life Education Program which brings world-renowned naturalists and marine life authors, Ned and Anna DeLoach, for sixth consecutive year to Buddy Dive Resort. During this one-month event, Ned and Anna give seminars and slide shows on fish behavior, coral and fish identification, as well as guide dive trips. The activities start on Sunday 30th of August and will carry on until Friday the 25th of September. All activities are free of charge for guests staying at Buddy Dive Resort. A limited number of people can be accommodated on the guided boat dives and snorkel tours. The Reef Fish Identification and the Reef Fish Behavior books are for sale at our dive shop. Buy yourself a copy, and have it signed during our weekly Free Manager’s Rum Punch Party & Happy Hour every Friday between 5.30 pm and 6.30 pm. To celebrate that Ned & Anna are our guests we offer the special BUDDY DIVES for FREE*, which means that every second diver dives for FREE, when booking our Drive & Dive package!! This special is valid for travel between: August 30th and September 25th 2009. Bookings window: Now to September 25th 2009. Contact ann@bonairecaribbean.com or call 800-219-0118 to book today. Dinner credits apply.